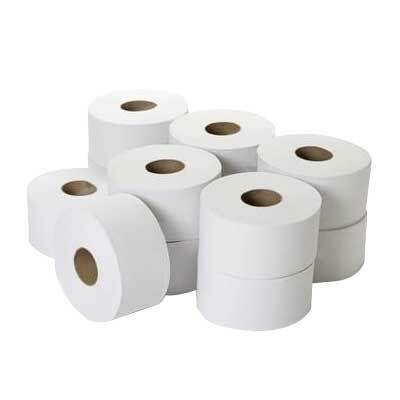 Desna Mini Jumbo Toilet Rolls 2.25 inch – 150m 2ply white. Our most popular mini jumbo product with edge embossing to ensure both ply’s are stuck together. Packed in 12 rolls per case with a machine shrink wrapper poly bag. We have a Ready Made parcel offer for 4 cases of Mini Jumbo so be sure to check out further related products and deals. Pallet deals are also available saving pounds. With a range of Dispensers available to suit both Mini Jumbo and Jumbo Toilet Rolls in either ABS Plastic or Stainless Steel.